State Department review finds visa rejections for young Israelis up to 32%, doubling since 2009 - Kerry commits to changing it. US Secretary of State John Kerry will be investigating the sudden rise in the number of US visas rejected for young Israelis, after an initial report saw that the visa rejection rate has doubled since 2009. Kerry announced the move in a letter Thursday, published by Al-Monitor, to House Representative Nita Lowey (D - NY). The letter acknowledges that the US has rejected more and more visa requests from young Israelis aged 21-26, and vows to "do more to encourage and assist young qualified Israelis to visit the United States." Kerry stresses in the letter that there has been a disturbing trend of rejecting Israeli visa applications - but that the US government is also not specifically targeting Israelis. "We reviewed data on refusal rates for tourist visas for Israelis from the ages of 21-26 and found that visa rejection rates have doubled from 16% to 32%," Kerry admits. "We know that despite a two-thirds approval rate, this increase has led to the perception by some that young Israelis are unwelcome to travel to the United States." "Clearly, that is not the case," the letter continues. "Israel is one of our closest friends and allies, and we welcome interchange between Israelis and Americans in every manner, including travel by Israelis to the United States." The "initial review" claims that the problem is not a matter of nationality, but a matter of preventing a trend of young Israelis overstaying their visa terms in the US, and that the rise was a matter of "making adjustments" to the approval system. Be that as it may, Kerry vowed to take definitive action to solve the visa problem, which has gained visibility over the past several months against the backdrop of oft-turbulent relations between Jerusalem and Washington. 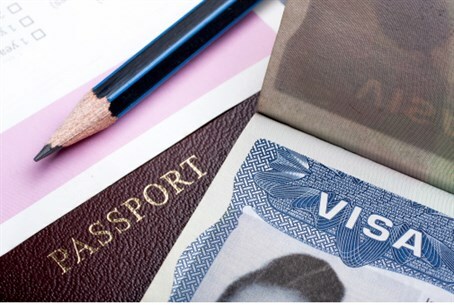 Solutions include reviewing current visa approval policies, reviewing those policies against "facts on the ground" regarding Israelis who stay in the US for an extended period of time, and assisting Israelis through the complex bureaucracy of the visa application process. "Increasing denial of visas to Israelis is wrong and unacceptable"
Lowey was not the first member of congress to write to Kerry over the visa problem, which made headlines multiple times over the past several months amid accusations that the US was targeting Israelis. Congresswoman Grace Meng (D - NY) also wrote to Kerry over the issue, and welcomed the response late Thursday night. Israeli officials have yet to respond to the letter, which responds to earlier claims that political motivations were at stake in the visa rejections. Earlier this year, Israeli security officials also claimed they were being targeted by the US, and that hundreds of defense officials were turned away from making important visits to Washington.